Updated: 2012-11-11. Something not right? Please update the information. Hiking trails, formal campfire circle, chapel, sledding, sports field, fishing, lake frontage, canoeable water. 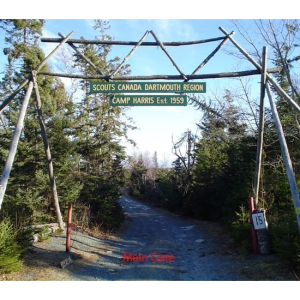 Camp Harris is a primarily forested camp with a lake. There are rustic tent campsites. Large events have accommodated up to twenty sections totaling 300 campers in tents. There are Adirondacks, and various heated and un-heated cabins on site.